VOSTOCHNY SPACEPORT/Amur Region/, November 28. /TASS/. 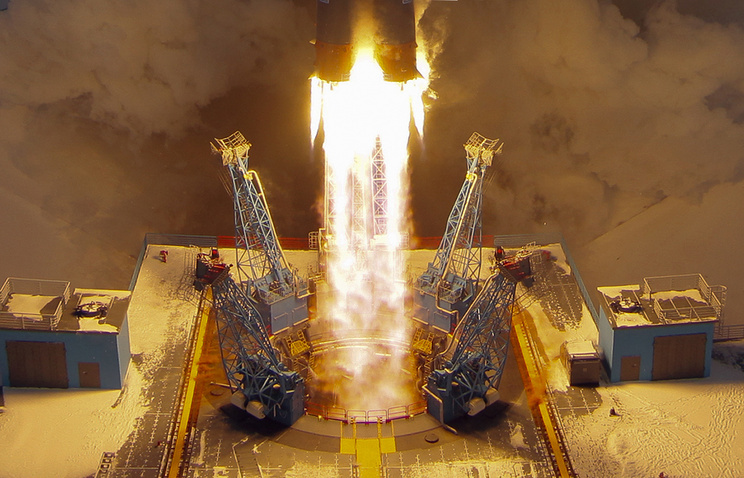 The Soyuz-2.1b carrier rocket with 19 satellites has been launched from the Vostochny spaceport in the Russian Far East, a TASS correspondent reported from the observation point. "The launch of the Soyuz-2.1b space rocket with a Meteor-M 2.1 spacecraft and the secondary payload of 18 satellites was carried out as scheduled at 8.41 a.m. Moscow Time (5.41 a.m. GMT)," a spokesman for the Roscosmos space corporation said. The Fregat upper stage separated from the third stage ten minutes after the launch and will continue putting the satellites to the designated orbits. This was the second launch from the newest Russian spaceport. The first launch from Vostochny was carried out on April 28, 2016, when the Soyuz-2.1a carrier rocket with three satellites blasted off. Tuesday’s launch will deploy 18 smaller satellites from various countries, including Baumanets-2 (Russia), LEO Vantage (Canada), AISSat-3 (Norway), IDEA (Japan), SEAM (Sweden), two Landmapper-BC (the United States), 10 LEMUR satellites ( the United States) and D-Star One (Germany). The last satellite, LEO Vantage, will be put into orbit at 12.54 Moscow Time. Later, the upper stage will be sent towards the Earth, enter the planet’s atmosphere at the altitude of 100 km, and its charred remains to be left over after the burn will plunge into the pre-designated area in the Pacific Ocean after 2.15 p.m. Moscow Time.